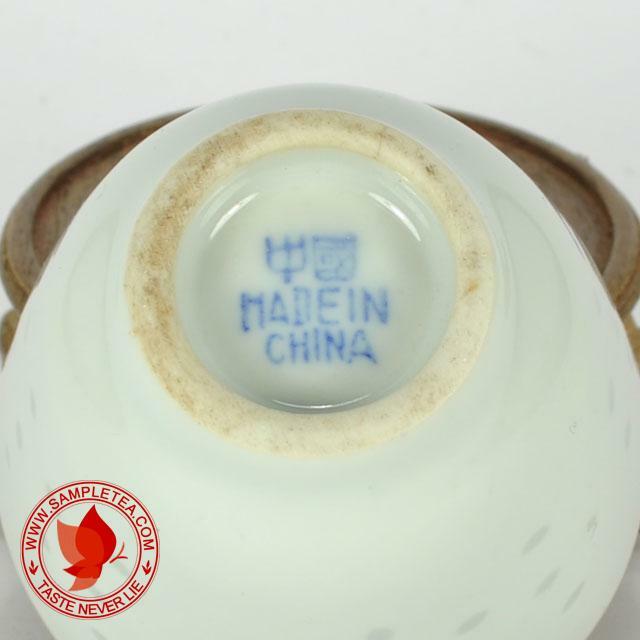 This is a 1980's made "Bai Yu Chi" or "White Jade Porcelain" teacup. 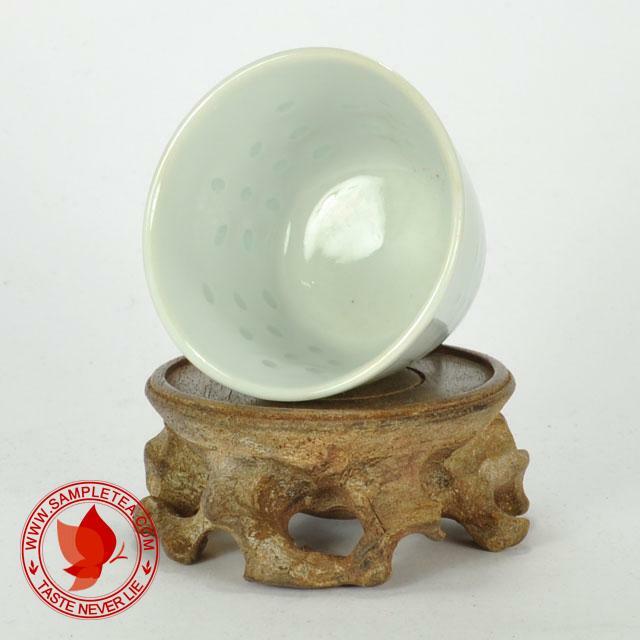 The name "white jade porcelain" is just a name that came from the color. 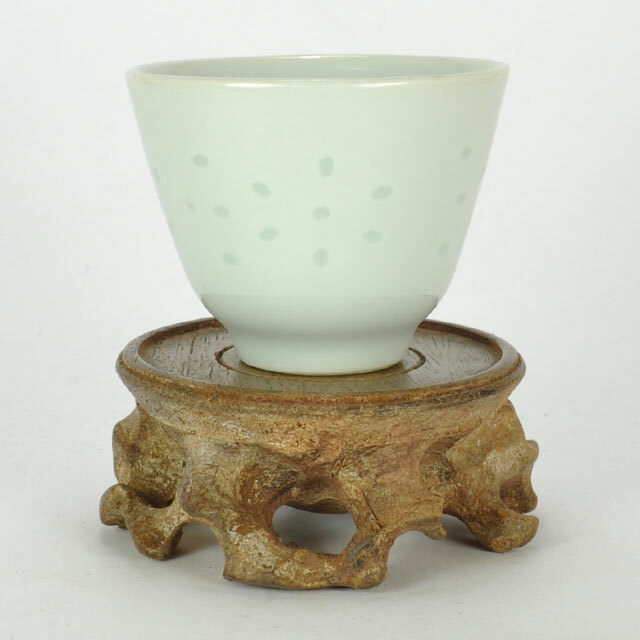 The cup does not made of jade. 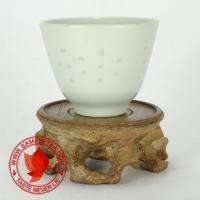 Good for all types of tea and because it is white in color, you can actually see the tea color more clearly. 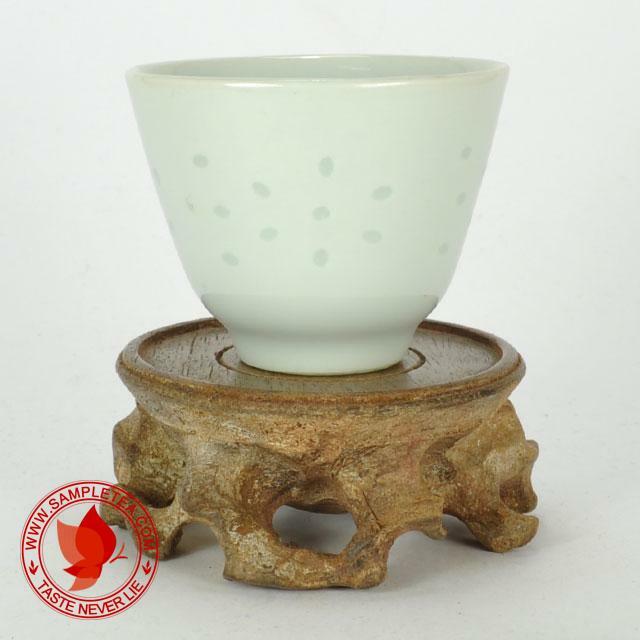 The teacup is not pure white but very light greenish white just like white jade. 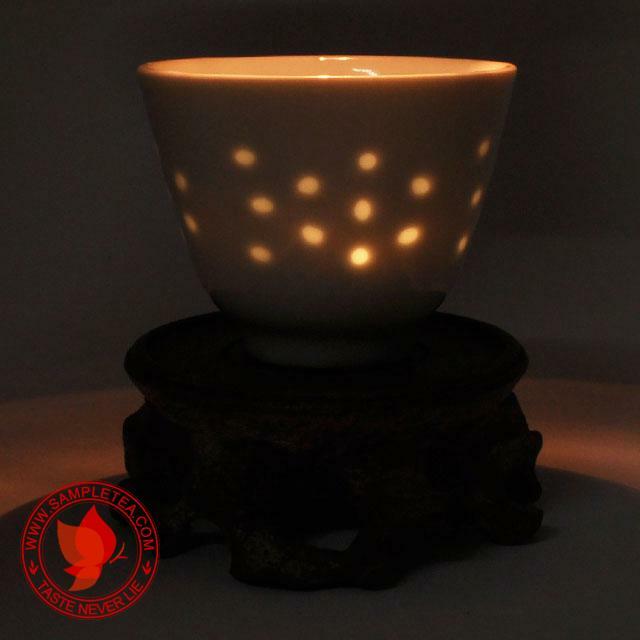 Note: The line at the lower part of the cup (first image) is the reflection of the stand. Not crack line.